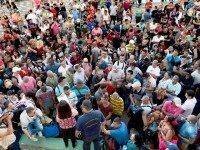 So far this fiscal year, which ends on September 30, more than 44,000 visa-less Cuban asylum-seekers have reached the U.S., according to Customs and Border Protection data provided to Agencia EFE. The current level is more than five times the number of Cubans who reached the U.S. in all of 2011, when fewer than 8,000 visa-less Cubans entered the U.S. The Obama administration has not discouraged Central American countries from airlifting thousands of Cuban migrants to the U.S.-Mexico border, according to a senior State Department official. 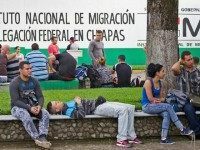 Thousands of Cuban refugees are stranded in Costa Rica and are now being moved into Mexico so they can illegally cross into the United States. 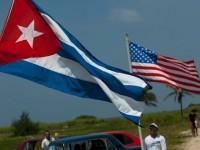 Once on American soil, Cubans receive automatic immigration status adjustment and full welfare benefits. Texas is becoming the epicenter of this influx of Cubans. 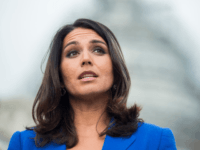 More than a year after President Obama announced a concessions package to the rogue Raúl Castro regime in Havana, the usual cabal of left-wing voices have united against political asylum for Cuban refugees. 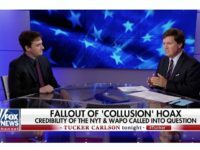 Unlike in the past half-century, however, they have ensnared some conservatives, who now believe that the problem lies in Cuban refugees seeking freedom. As many as 40,000 Cubans seeking asylum could cross the southern U.S. border in the coming months, Rep. Henry Cuellar (D-TX) tells local KGBT-TV. Central American Countries Reach Deal to Help Cuban Refugees Reach U.S. 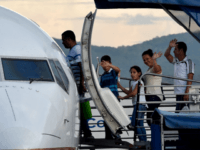 The more than 8,000 Cuban refugees stranded in Costa Rica after Castro ally Nicaragua rejected their legal visas will fly over Nicaragua to El Salvador to commence their voyage to the United States, a coalition of Central American nations announced this week.